The labor group Partido Manggagawa (PM) slammed employers for its “wholesale opposition” to bills that seek to regulate or prohibit the prevalent forms of contractualization. “It’s social justice, stupid,” exclaimed Rene Magtubo, PM national chair, in response to the employers’ stand that businesses are entitled to profit and growth. PM and other labor groups are escalating their campaign and advocacy against endo. The passage of the security of tenure bill and the release of a Presidential executive order on endo are both objectives of the workers’ campaign. A copy of the Employers Confederation of the Philippines’ (ECOP) position paper on endo bills filed in the House of Representatives was released to the media yesterday. 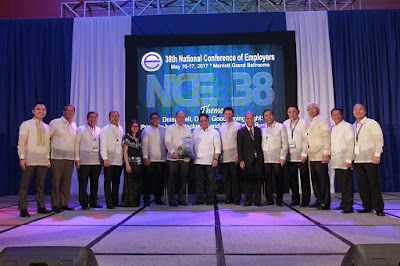 The ECOP sought to block passage of all the 25 proposed legislation to reform the Labor Code’s provisions on contracting. The Labor Code allows contractualization subject to the power of the Labor Secretary to regulate or prohibit it in the interest of workers’ constitutional right to security of tenure. PM and its allied labor groups in the coalition Nagkaisa! are supporting HB 4444 by Cong. Raymond Mendoza. The bill aims to strengthen job security by banning all forms of contractualization. “In the ECOP’s twisted logic, capitalist profit is an entitlement superior to labor rights such as job security. From such a hardline position flows the widespread practice of illegal forms of contractualization like 5-5-5 and repeated short-term contracts,” averred Magtubo. The PM and Nagkaisa! are calling on President Rodrigo Duterte to issue an executive order to implement his promise of ending endo. In a dialogue last Labor Day, Duterte conceded to the demand. Last May 9, a draft order was submitted by Nagkaisa!, KMU and National Anti-Poverty Commission to the President. “We call on the President to sign the draft executive order. Promises should be kept not broken. Workers are expecting no less from Malacanang,” insisted Magtubo.